She held and published extremely progressive views on education, particularly the links between education and psychology and mental health. Her work continues to influence educational theory today. Her progressive approach led her to anticipate later work on ‘comprehensive schools’, links between schools and industry, and the development of vocational guidance and educational counselling. She stood as Labour candidate in the General Election in 1922. She campaigned tirelessly about political and social issues, especially relating to women and young people. In 1949 she was awarded a DBE for services to education in Wales. Her work at Cardiff included the development of a collegiate centre in Cathedral Road, Cardiff, where local teachers could develop skills for research in schools and classrooms so her work directly affected and improved the lives of people in the local community. 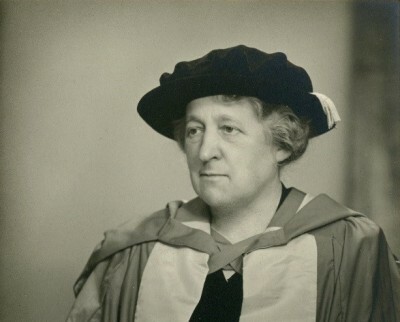 Like Millicent MacKenzie (the UK’s first female professor and Professor of Education at Cardiff – http://blogs.cardiff.ac.uk/cuarm/2015/03/17/millicent-mackenzie/), Dame Olive’s work had a direct impact on the experience of schoolchildren in Wales and the wider world, and her research would continue to influence educational theory and policy for many years to come.